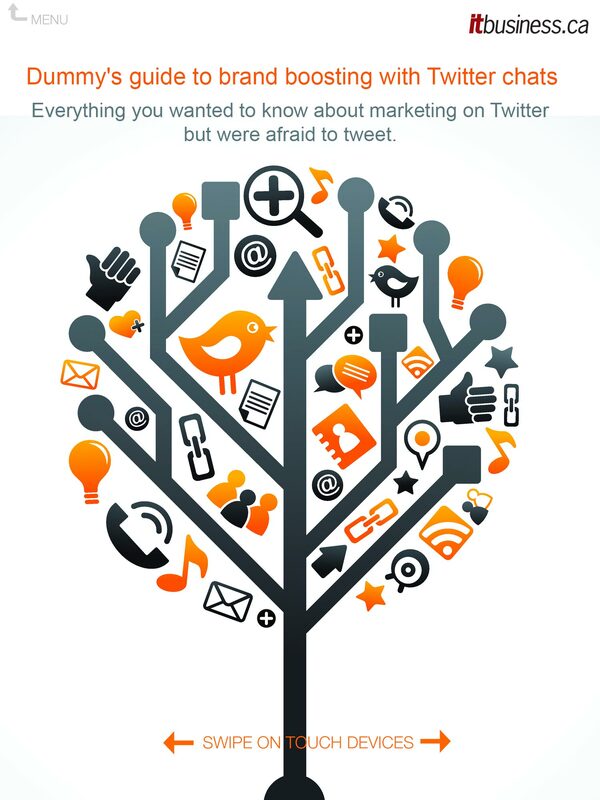 Everything you wanted to know about marketing on Twitter but were afraid to tweet. With hashtag-based chats cropping up everywhere you look in the Twitterverse, now seems like a good time to talk about how you can moderate a Twitter chat to help you build your brand and connect with your audience. In case you’re not sure what a Twitter chat is, this is a way for you to run a discussion on Twitter, with all participants following the conversation by using a hashtag. A note of caution – Twitter chats can get chaotic, especially when there are tweets coming from all directions. But as the moderator, it’s your job to keep the conversation flowing and on track. But the actual role of moderating on the day of the chat isn’t difficult – as long as you are running Tweetdeck, HootSuite, or another social media dashboard that will allow you to search tweets within a hashtag in real-time, you can keep track of everything that’s going on. The real key to moderating a successful Twitter chat is preparation – doing all of your homework ahead of time, reaching out to participants, and promoting the beans out of your chat to get the best possible participation at the appointed hour. 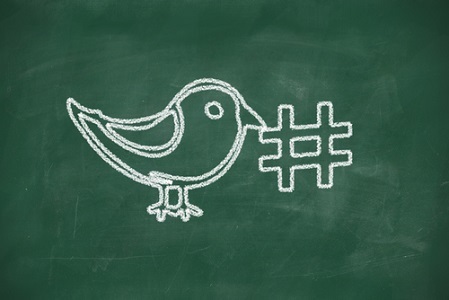 Read on for a set of tips on how to run a Twitter chat – and boost your brand in the process. 1. Choose a strong topic. It may seem like an obvious point, but you have to give this one some serious thought. First of all, you need to know who your audience is and what topics will draw them in. 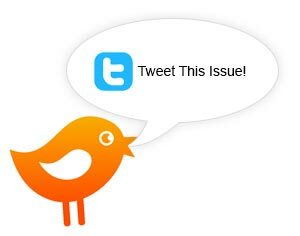 In our experience, two of the best Twitter chats we’ve run have been on hot topics like crowdfunding and Canada’s Anti-Spam Legislation (CASL), subjects relevant and timely for our readers. That attracted a lot of interest and encouraged people we didn’t know to promote the chats for us on Twitter, touting the chats as sessions that could be informative for their own followers. Picking a broad topic can be helpful because it can make it more accessible for Twitter users, allowing them to tweet and share their experiences. However, the topic must be specific enough to generate value for them. If they are spending roughly an hour on Twitter and participating in your chat, they need to feel they are learning something and gaining valuable insights. Publish a blog post containing the questions for your chat ahead of time, so participants know what to expect. We did this two weeks in advance and used the post to promote the chat and provide a landing page. For example, if someone was looking to launch a crowdfunding campaign, by perusing our questions, they could tell this chat would have some helpful tips for them. But if someone was solely interested in backing campaigns, they might have noted this chat might not be the right fit. Many of the best questions include how-tos, or they ask people about their personal experiences – for example, asking people how they kicked off a successful crowdfunding campaigns is a great place to start. 2. Bring savvy guest experts on board. Unless you are an expert on the topic at hand, it really helps to have one or two people committed to attending your chat and fielding questions from Twitter chat participants. And even if you are already an expert in your domain, as the moderator, you will already be busy asking questions at different intervals and following up on what others have tweeted about. That’s why it’s a good idea to have people in place to speak on the topic and offer their insights. 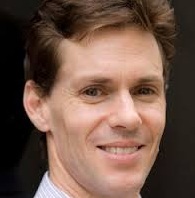 Ideal experts are people who know their subject well, and who are also adept at using Twitter. They should be familiar with using hashtags, and it also helps if they have active accounts online. If a guest is unfamiliar with Twitter, it can be difficult for them to follow the chat once it starts rolling. For our crowdfunding chat, we brought in Danae Ringelmann, co-founder of Indiegogo, one of the biggest crowdfunding sites. We also had Cindy Gordon of Invest Crowdfund Canada on board. And for the CASL chat, we brought in John Lawford of the Public Interest Advocacy Centre, as well as Bret Conkin, chief marketing officer at Fundrazr, Canada’s largest crowdfunding platform. A lawyer, Lawford was instrumental in explaining the legal ramifications of CASL, while Conkin provided some great insight on tips for marketers seeking to navigate the new legislation. Having one or two notable names also encourages others to promote the chat, and it helps boost discussion during the actual event, especially when participants begin directing questions directly to the experts. While the Twitter chat involves an intense amount of tweeting and moves at a relatively fast pace, the real legwork might be in promoting the chat. After we announced each of our chats, we spent two weeks promoting them on social media, taking to Facebook, Google Plus, LinkedIn, and of course, Twitter. There’s no real limit to how many times you can promote a chat, but it really depends on the social network. For example, it may not be a good idea to spam Facebook users with reminders about the chat everyday for two weeks, but so many tweets go through Twitter each day, it doesn’t do any harm to tweet about the chat multiple times a day. With HootSuite or Tweetdeck, you can also schedule future tweets to promote the chat, especially if you are too occupied during the work day. But besides the social media blitz, it may be a good idea to reach out to people individually. Check back through your past contacts – who do you know? Who do you think will be interested in your chat? Tweet directly at them, or even better – send them an email to invite them personally because you feel you both could benefit from their presence online. At IT Business.ca, we’ve been inviting people to our chats via Google Calendar. Calendar invites are an easy way to remind people of the chat, as well as to confirm who is going and who needs to bow out. It also provides a quick and easy way to email a list of attendees and potential participants, so you can keep them updated as you get closer to the date of the chat. You can also reach out to others in your company. 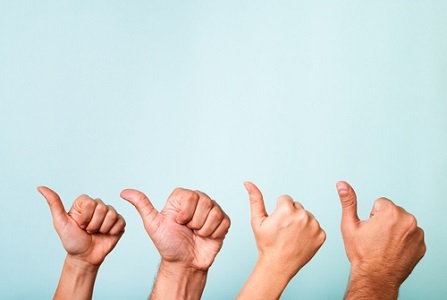 Raising internal participation is a good way to get help on promoting future chats and to encourage everyone to be involved with your company brand. 4. Moderate the chat as organically as you can. On the day of the actual chat, things can get hectic quickly. Tweets don’t typically flow in a logical order because people will answer different questions at different times, according to how quickly they type and how quick they are to follow the conversation. What we’ve found helpful is using Q1. to signify question 1, and we’ve asked participants to answer with A1. when they want to respond to a question. That makes it simpler to keep track of who is tweeting about what. Things become more complicated once Twitter users begin to respond to each other and to ask follow-up questions, or to provide comments. But if that happens, don’t hurry onto the next question! That’s a great thing – what you’ve done is start a discussion that can actually be even more productive than the questions you have prepared. So don’t feel compelled to use all of the questions you’ve prepared – be ready to be flexible and to drop questions, as well as bring up new ones, in the spirit of the conversation. 5. Now that your chat is over… What next? You put all of the prep work, you brought in great guests, and now you’ve run a successful chat. It would be a waste to leave it at that – so don’t. Make sure you have some resources ready to continue to draw attention to your chat after it has already happened. For example, on ITBusiness.ca, we’ve been posting follow-up posts about our chats. For the chat on CASL, we published a roundup of curated tweets from the chat, and we also ran a blog post from one of the guest experts based on his material. The blog post was actually scheduled to be posted 10 minutes before the chat ended, giving us plenty of time to tell attendees we were wrapping up but that we also had a great takeaway for them. Summarizing what participants discussed at the chat also paves the way for promoting the next chat you do – and it builds a community of people expecting to attend your chats on the regular. So make sure you follow up, and build on your past experience. Happy Twitter chatting! Twitter chats are not new but they can be a powerful way of gaining engagement and traction in the social sphere. A Twitter chat is simply a pre-planned chat between various Twitter users using a common hash tag. There is a lot of publicity and engagement that a Twitter chat can gain for your company, cause or campaign if you execute it correctly. We interviewed Rannie Turingan and Mark Evans to gain better insights. 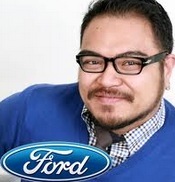 Turingan is a social media specialist at Social Boom who holds monthly Twitter chats for Ford Canada. 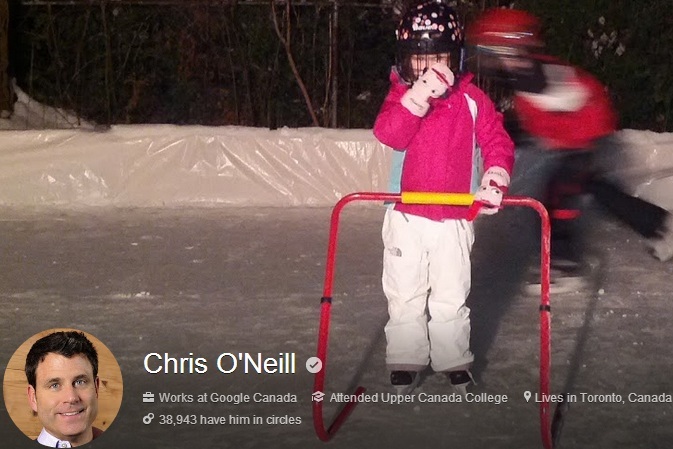 Evans is a start-up marketing specialist who runs Twitter chats for Dell Canada. We asked these seasoned hosts to share the ingredients that make a successful Twitter chat. Most business meetings are planned in advance. The same applies to Twitter chats. Get yourself prepared for it and ensure that you have the content and topic of discussion ready. The last thing you want is to get caught unprepared. What are the other things that need to be prepared in advance? Turingan says, “There are lots of things to consider when preparing for the chat, but the most important is deciding on a theme. Each chat that we have for Ford Canada is themed differently and based on the theme, you can then move forward to choose what questions you would like to ask your community. Depending on the nature of the chat, you need to decide the duration of the chat. Most chats go on for an hour while some go on longer and some are shorter. You need to assess how the people are reacting and based on the engagement you can decide for yourself. The frequency of such chats is another factor that needs to be considered. Both Turingan and Evans agree on the frequency to be once a month and the duration to be 30 to 60 minutes in length. The chat host is the one who plays the main role in the chat. He is like an anchor of a chat show. Like we discussed in the first point, preparation is key and the host must be ready with answers and tweets before hand. The community managers help amplify and add in their inputs via mentions and retweets which builds momentum. The users usually throw in comments and questions which may be answered by the host. Often times you will come across people who join the chat and take it in an unwanted direction. In short, all they wish to do is spam and not add any real value to the chat. You can also go a step further and block someone who is trolling. People like Evans and Turingan have tasted success with Twitter chats. 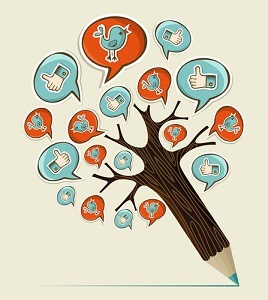 It does not just stop at engagement; brands can also find leads on Twitter. Reach and awareness are two other metrics that can be used to measure the success of a Twitter chat. “I think Dell has seen increased reach and awareness, as well as worked to establish itself as a brand that provided valuable information and insight to existing and potential customers. One of the key reach metrics is reach in terms of how many followers are within the participants’ network” says Mark. To sum it up, you need to plan in advance, fix the duration and frequency of the chats for optimum engagement. Ensure that the Twitter chat host understands his/her role, ignore the bots and trolls and measure engagement to gauge success. Have you tried a Twitter chat yet? Share with us your success stories and experiences. Let me tell you about something I call ‘Empty House Syndrome’ – picture yourself as a trick-or-treater on Halloween, going door to door to collect candy. You approach the homes with lights on and ghoulish decorations on display knowing you’ll be rewarded for presenting yourself with a treat. If a house is dark and lacks the appropriate skeletal effigies and dangling ghosts, you skip it as it’s not worth your time to knock on the door without boosting your candy haul for the night. But the homes that suffer from ‘Empty House Syndrome’ are even worse than those darkened and uninviting – rather, they have the lit Jack-o-lantern on the porch, yet still refuse to come to the door when you knock. They invite you in, then let you down when you show up. That’s what a poor social media presence is like – you pretend like you have good stuff to giveaway and the promise of an interaction, only to disappoint people when they try and do so. Your reach, or how many people you could possibly touch with your social media messages. Your influence, or how important the people you’re engaging are according to other social media indicators. Your overall engagement, or how much you’re responding to others on social media and being involved in conversations. Your popularity, or how much you’re being liked, followed, shared, etc. These are all important. Any business serious about having a presence on social media should be carefully looking at these numbers regularly. But while quantifying your social activity gives you a snapshot of where you stand, it doesn’t tell the complete story about where you’re going, or what you’re doing to get there. After all, behind those brand accounts are real people that are talking to other real people. My evaluation approach puts numbers aside and looks at how social media accounts are being used, who’s paying attention to them, and what activity is taking place. It awards points for healthy, positive activity that will promote growth in followers and engagement. Rather than judging a social media account based on the numbers, it evaluates its based on actions. Presence exists. A social media account has been set-up. Congratulations. One point. Graphics created. Custom, branded images have been created to make the social media space as interesting as possible. This has been done to its full potential and the result is aesthetically pleasing. Automated feed. In some cases it may make sense to set up automated posting from an RSS feed. In other cases, this is a really bad idea. You have to think about what you want to accomplish with the account and what purpose it serves. For example, we have our @ITBusinessca account tweet out our headlines automatically to keep our followers updated as to the latest news to hit the site. But if you’re running a customer service account, then spitting out automated feeds might not make sense. Automation alone isn’t enough to achieve good impact on a social network. Evidence of human life. Is the account clearly writing posts that are written by a person that is giving thought to how the content relates to the brand, and with a clear purpose as to what that account is out to accomplish? Consistent engagement occurs. Does the person behind the account actively talk to others, for example by @ mentioning them on Twitter, in a courteous and productive manner? This should be happening on a near daily basis. Evidence of listening. Does the person behind the account find people talking about the brand on social media and engage them in a positive manner? Is there sign the person is not just posting to the account, but paying attention to what others are saying? Sharing by audience. Does the audience find enough value in the content to repost it? Are they perhaps sharing to social media from your Web site, or other channels? Engagement by audience. The audience is in active discussion with the account on a fairly regular basis, showing they expect a person to respond to them. The eight points evaluation approach can be charted out to give a quick visual indicator of what social media accounts need attention. Award half points in cases where some effort has been made, but more could be done. With one chat, you’ll be able to present to a group of people how they stack up – literally – to their peers. You’ll also be communicating the important things they should be doing, but aren’t doing, and recognizing them for the actions they are taking. In other words, you’re gaining insight into what accounts are suffering from ‘Empty House Syndrome’ – the trick or treaters are knocking on your door, but you’re not opening it to give them candy. Making up for the short fall on accounts that need attention is a two-step plan that I’ll explore more in future posts. It involves the creation of an action plan for the social account(s) and then regular reporting that demonstrates what impact those actions are having. Twitter chats, tweetups, hashtag chats – it seems like everyone’s been getting in on these lately, asking their followers to track a hashtag at an appointed date and time to discuss a specific topic. But as positive as these can be for boosting a brand and for fuelling a great discussion, setting up a Twitter chat and getting people to participate is a lot of work, and doing it well is practically an art form. Det.-Sgt. Cameron Field of the Toronto police’s financial crimes unit has been running one for about a year. Centred around fraud prevention at the hashtag #Fraudchat, the goal was to reach out to the public and educate people on how to avoid scammers. The chat, which takes place every Thursday night at 9 p.m., just marked its one-year anniversary this week. For anyone looking to organize chats of their own, Field has a lot of advice based on his own experiences. We’ve rounded up a list of five things to consider before jumpstarting Twitter chats. 1. Build a community first – and leverage the one you already have. When Field and his co-moderator, Kristen Rose, first began organizing these chats a year ago, they were doing them as part of a social media working group. So they already had a community that could support them in their chats, Field says. Rose, a communications officer at the Financial Services Commission of Ontario, had a number of connections to people in finance, as did Field, so they leveraged a network of about 25 different companies and agencies to build a community to promote the chat. With all of these groups promoting the chats, they can probably generate about two million impressions, Field adds. “Our dream is that people will talk about fraud, and they’ll mention our chat,” he says. But he cautions that having just 100 followers while trying to run a Twitter chat probably won’t be very effective. “We send teasers to people, and ask them what’s critical in the world to chat about? But it’s no use if no one is listening,” he says. And to reach out to members of the public, Field searches hashtags like #Toronto and #fraudprevention to see who he might be able to follow, based on who might be interested in his topic. Then he uses tools like Manage Flitter to weed out Twitter users who will probably never follow him back. “It’s not spiteful, we just need to shorten the distance and identify people who would be interested,” he says. The goal here is to build a community, Field adds, and one of the best ways to do that is to start reaching out to people who share a common interest. 2. Think carefully about a time slot for your chat. When Rose and Field began the groundwork for planning their chats, they settled on an off-beat time slot – 9 p.m. Thursdays. That’s because they wanted to ensure they would have no competition with other Twitter chats, Field says. However, he says picking the right time slot really depends on your audience. As he was reaching out to the general public, he wanted it to be at a time when people might be home, winding down, and gearing up for the next work day. But if you’re running a Twitter chat for, say, mommy bloggers, maybe the best time will be during the day, when their kids are at school – it just really depends on your audience. 3. If you want your chat to take root, you have to be consistent. While it’s a lot of work to fire up a Twitter chat every week, Field says he and Rose opted for a weekly session because it solidifies their chat as a forum for discussing fraud prevention. That can’t happen unless people know the chat is going to take place every week. In Field’s eyes, running a Twitter chat even once a month isn’t going to cut it. This also means Twitter chat organizers need to be strategic about picking the focus of their overall chat. Fraud prevention is a wide topic, Field says, so he and Rose are never short of weekly topic ideas. Their most recent chat centred around investment fraud, but other chat topics have included insurance scams, consumer shakedowns, and more off-beat types, like the ones targeting homeowners by promising to fix hot water heaters. And interestingly enough, one of their more popular, repeated chats has focused on romantic scams. 4. Bring in a guest expert to draw participants in. One of the best ways to attract participants to a Twitter chat is to bring in people with expertise, Field says. 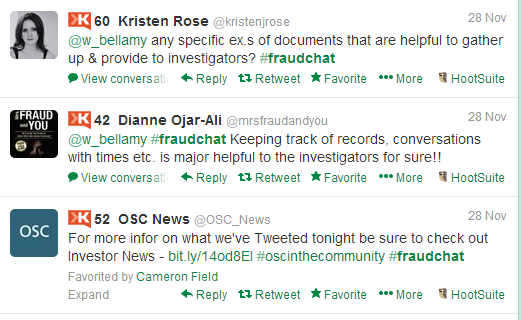 During the Nov. 28 edition of #Fraudchat, the Ontario Securities Commission (OSC) filled the guest spot, fielding a number of questions about investment fraud and how to prevent falling victim to it. The chat was buzzing with questions from chat participants, and the OSC provided a number of links with tips on how to avoid unscrupulous would-be scammers. So far, the strategy seems to be panning out. 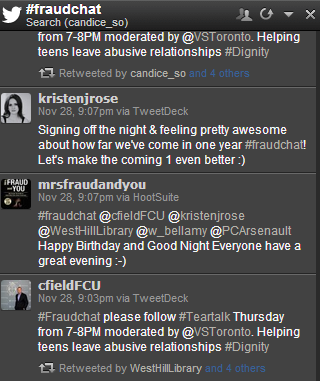 Field says he was especially proud to see #Fraudchat garner the number seven spot of the top 10 hashtags trending in Toronto on Nov. 28 – and that lined up nicely with #Fraudchat’s first birthday. 5. Be prepared to follow up with your participants. One of the most rewarding things about running a Twitter chat is being able to connect with the community, Field says. But for #Fraudchat, connecting with chat participants is a little different than it might be with other chats, because many participants often share about crimes that have taken place. To follow up, Field will tweet at those participants, asking them to follow him so they can exchange information via Twitter direct messages. While he won’t pursue anything participants tell him over Twitter chat, he will provide them with information about the right authorities approach and give them the opportunity to follow up. That may not apply to all Twitter chats, but keeping in touch with chat participants is a good starting place, Field says. The most important thing is to just experiment, he adds. Most of what he’s learned about social media has been through trying things and seeing how they turn out. “We’ve been on social media since 2004, but three years ago, our communications team started having a huge presence.” he says, adding it may be a lot of work, but he feels the payoff is worth it. Now it’s time to take the next step with your Twitter chat. Let IT World Canada help you organize one.